It was a triumphant turnaround for a far-reaching campaign that saw its share of disruptive moments. By the time it came to an end on December 31, 2016, it had shattered expectations, having se- cured $486 million toward student scholarships, curriculum initiatives and innovative academic programs and new courses of study that will define Smith for the 21st century. Indeed, the campaign has not only transformed the college but also the landscape of women’s philanthropy. Culturally, the first decade of the 21st century was perhaps the perfect moment to be discussing the idea of launching a campaign that would make women’s education and leadership its focus. In 2009, the book Half the Sky was sparking a worldwide conversation about the value—to families, to communities, to businesses and organizations—of having more women at the decision-making table. In it, authors Nicholas Kristof and Sheryl WuDunn conclude that the key to economic progress is in unleashing women’s leadership potential and that access to education is the surest and most successful way of making that happen. 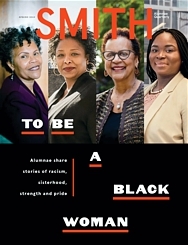 At the top of the priority list was shoring up Smith’s financial aid program to ensure that a Smith education remained accessible and affordable to women, regardless of their economic background. Annually, about 60 percent of Smith students receive need-based scholarship support, with the average aid package totaling close to $42,000. As president, Christ was an outspoken critic of the rising cost of higher education, warning that if the price tag continued to balloon, then only the wealthiest families would be able to afford college. A third and equally critical fundraising goal was $90 million in general support through The Smith Fund, which supports a variety of efforts, from faculty enrichment to student life activities and scholarships. But the trustees and Christ, along with her team of development officers and alumnae volunteers, forged ahead, confident in the campaign goal and the willingness of alumnae to get behind it. To build support, they embarked on an ambitious plan to bring the excitement of Smith to the world. President Christ hit the road, spending nearly a month touring cities in Asia, for example, while faculty gave Smith-style lectures around the country, inviting alumnae to “come back to class.” The message: Smith is an exciting place with big ideas worthy of support. 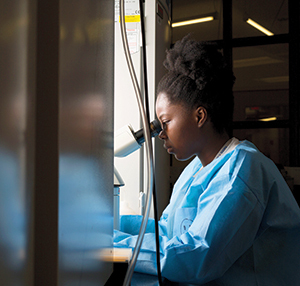 Over time, a number of donors stepped forward with major gifts that set the campaign in motion. Former trustee Phoebe Reese Lewis ’51 and her husband, John, endowed Smith’s burgeoning Global Studies Center with a $5 million gift; Betty Eveillard showed her support for international scholarships and programming with early gifts of more than $5 million; Joan Fletcher Lane ’49 pledged $2 million in honor of former Smith President Jill Ker Conway; Margaret Von Blon Wurtele ’67 donated $5 million to endow the college’s new Center for Work and Life; Janet Wright Ketcham ’53 provided $2 million to create an endowed professorship in Middle East studies; trustee emerita Nancy Godfrey Schacht ’56 and her husband, Henry, gave a leadership gift (the Schacht Center for Health and Wellness was later named in their honor); and an anonymous $16 million charitable lead trust from a member of the class of 1960 became the largest gift toward student scholarships in the college’s history. Students’ expectations were evolving. The curriculum would have to respond to new ways of teaching and learning. Thus emerged the idea of reimagining the liberal arts. Those gifts included a $2.5 million grant from the Branta Foundation for a design-thinking initiative connected to engineering; a $2.5 million gift from Charlotte Feng Ford ’83 to endow a contemporary art curator’s position at the Museum of Art; a $10 million anonymous gift to establish a new leadership development program for students; and individual gifts to endow Smith’s academic centers. 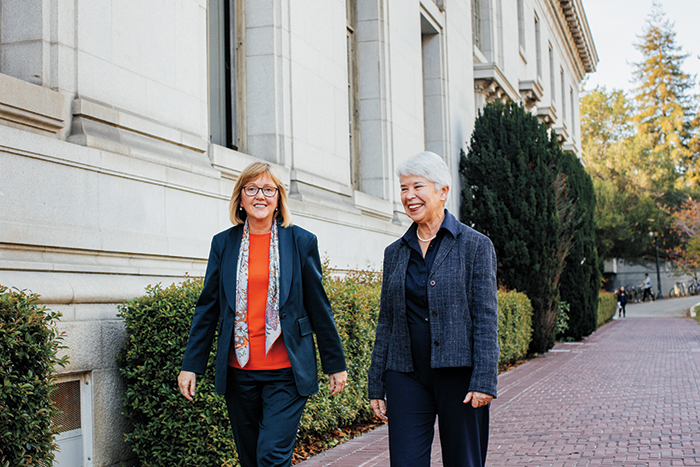 A particularly exciting moment for McCartney came when a member of the class of 1986 called her to say that she was donating $10 million for financial aid—one of the largest single gifts to Smith and to a women’s college. In making the gift, the donor said, “Giving to scholarship support is the most effective way I know to directly impact a student’s life and opportunities.” The donor had one request: that Smith use the money to inspire other alumnae to give scholarship funds. To that end, campaign leaders created the Promise to the Future gift-matching program.